Los Angeles is battling serious brush fires, the U.S.’s impending tax plan could be devastating to the middle class, but there’s one bright bit of news we can rally around on this Wednesday afternoon…Prince George’s appearance as a sheep in his school’s nativity play. Some may not call this news at all, but it’s putting a smile on our faces and that’s enough for us! Prince William recently visited BBC’s Bridge House (it’s basically BBC’s studio where they film a bunch of U.K. shows) and revealed to a group of schoolchildren that his four-year-old son George recently made his acting debut. 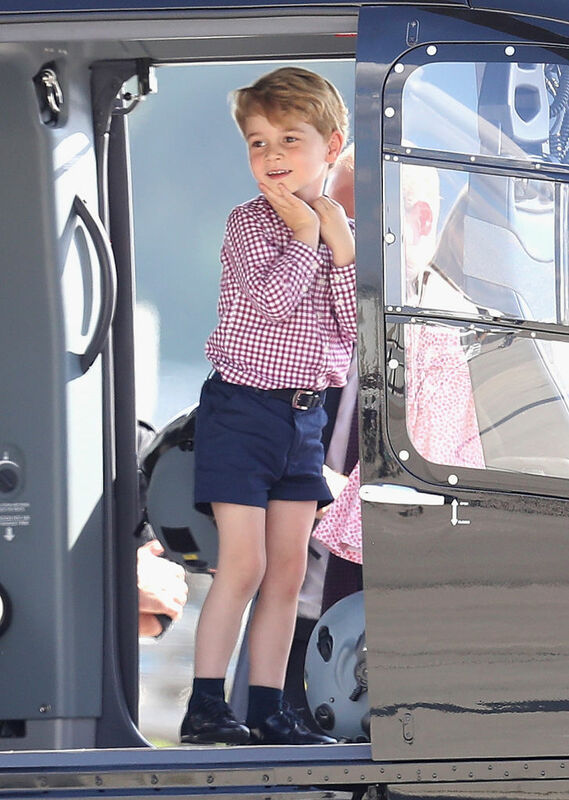 Prince George’s first day of school was back in September and his school sounds divine. The lunches these kids get to eat are sensational. Thomas’s Battersea posted a sample mock-up menu of the lunches and one sample menu includes hand-carved oven roasted pork loin with gravy, steamed broccoli florets, and oven roasted garlic new potatoes. Yum. In other news, now that Prince George has made his stage debut as a sheep in the nativity play, what IF he caught the acting bug? He could always ask his Aunt Meghan Markle for some pointers.